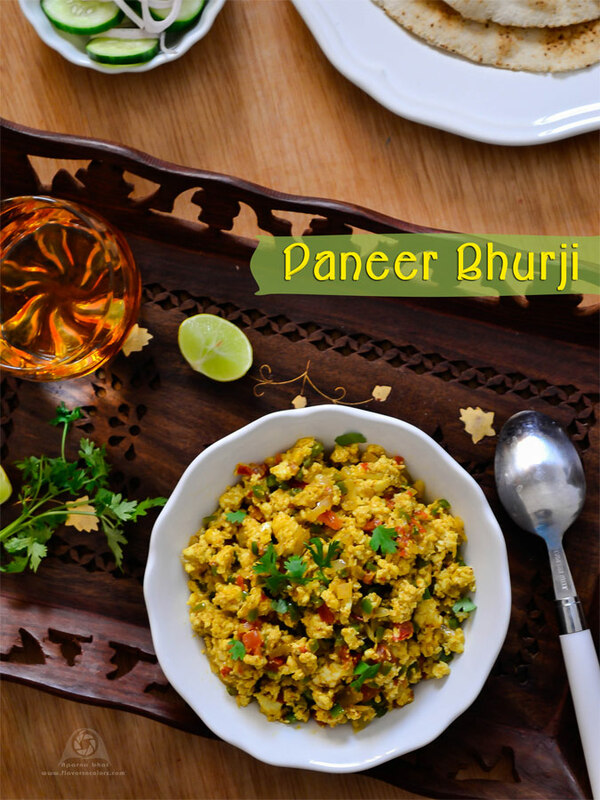 I have posted Paneer bhurji recipe here in the past which had gravy in it. Below recipe is a dry version and with my favourite Kitchen King masala. These days I have been using this masala in most of my dry subzis and they taste awesome. If you don't get kitchen king masala then replace it with 1/2 tsp garam masala. Crumble the paneer and keep it aside. Heat oil in a pan. Add finely chopped onions and saute it until they turn light pink. Add grated garlic and ginger and stir fry it till the raw smell goes away. Next add finely chopped capsicum and fry for a minute. Later add tomatoes and cook them till they turn soft. Add all the spice powders as listed under ingredients - turmeric powder, red chilli powder, cumin powder, garam masala, kitchen king masala. Mix well, cover and cook until the oil leaves the sides of the pan. Add crumbled paneer, salt, pinch of sugar [optional] and mix it nicely. Adjust the spices as per your taste and need. Cover and cook it further for 2-3 minutes on low flame. Squeeze lemon juice [or sprinkle aamchur/ dry mango powder] and garnish with finely chopped coriander leaves. 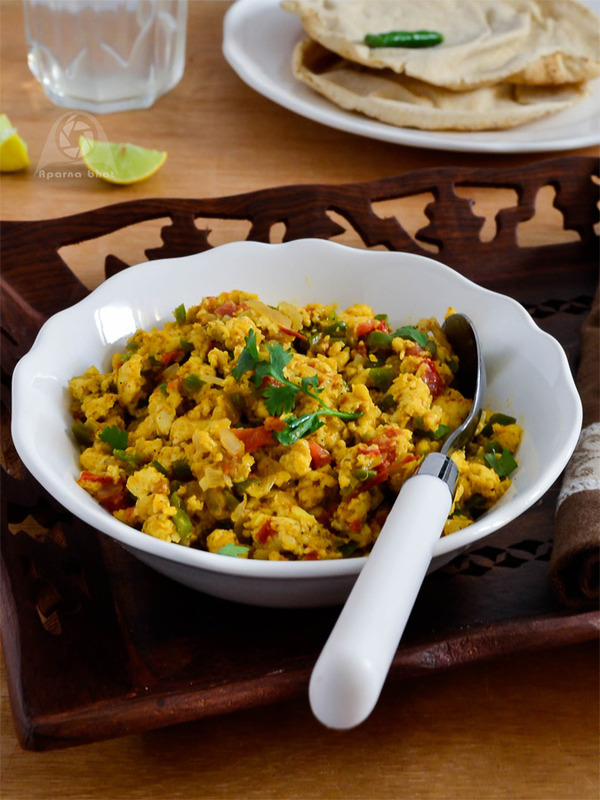 Serve it hot as side dish with rotis or parathas.